Jean Grosperrin used to be a cognac broker. A broker’s role is to evaluate the quality of the cognac and to introduce the producer and buyer to one another. His profession took him to many cellars in order to estimate the value of different batches. Most wine growers in the region distil their own grapes and keep some barrels of cognac in their cellars, like many generations has done before them. These family treasures are rarely put on the market for sale, but is what Jean and his son Guilhem look for in each of the six cognac terroirs. Many of the oldest cognacs are stocked in government controlled warehouses in cognac and in their own cellars controlled by supervised officials which makes them guaranteed of the age. Today the selection from Jean Grosperrin is more than 700 pieces of very old cognac, from the turn of the 19th century to the 21st century. 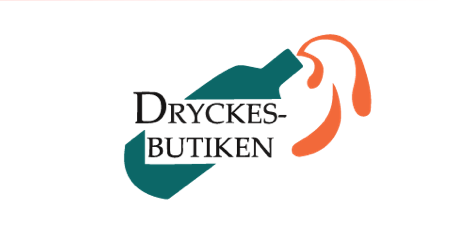 They offer cognacs that you might not have had the opportunity to come across with high quality and authentic. Comes from a small farm in the Finns Bois region called ”La petit Chapelle” located near the village Champmillon. The plots were the cognac comes from is organic since 1990 and taken care of by a lady who took it over during this time. Hints of peach and apricot on the nose with a fresh palate and a complex finish. Comes from a small farm of about fifteen hectares of vines located in Charente-Maritime in Saint-Simon-de-Pellouaille. This barrel was bought a few years ago by a small dealer and has aged in the Grosperrin celler in Saintes. Hints of candied fruit and aromatics on the nose. A complex and very accessible flavour, caracterised from the fine wood. This cognac was offered to Grosperrin by a broker from the Fins Bois region. It comes from a small farm where it’s been aged under state control since April 1984. The year was tricky with an early hail and a warm summer, which ended up making a cognac with higher alcohol than usual. The colour is golden with slight amber tints. The aromas have white flowers and liquorice with a smooth mouthfeel and light notes of nutmeg at the end. This vintage comes from a sister in law of the winegrower who became a merchant. He had a big passion for his stock and therefore making winegrowers trust him with their batches of cognac. The colour is golden and an intensity and typical ’grande champagne’ aromas. The notes are oaky with liquorice and dried apricots. The palate is rich with a hint of spice and long finish. The wine must have been fortified with cognac to stop the ongoing fermentation and keeping the last sugars. Then it’s aged in old oak barrels before bottled. 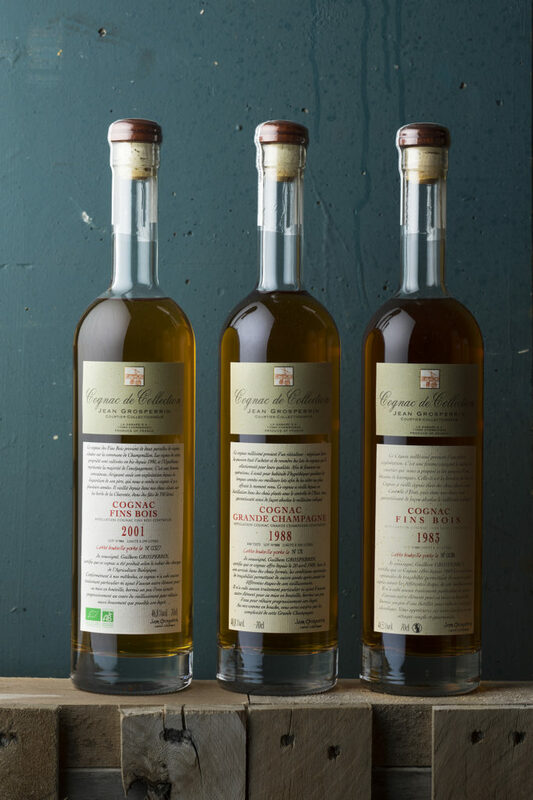 This batch was produces in the Borderies region with must from 1979 and cognac from 1978. It’s kept in Grosperriers basement since 2013. It has little sugar and strong acidity with ripe fruits and sustained minerality.